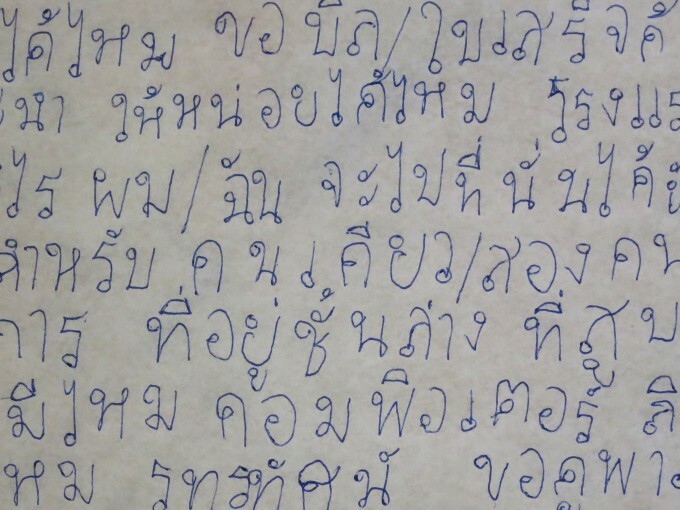 Swedish–Thai phrase book appropriated as found poetry and copied in hand writing on rice paper, in attempt to learn Thai writing. 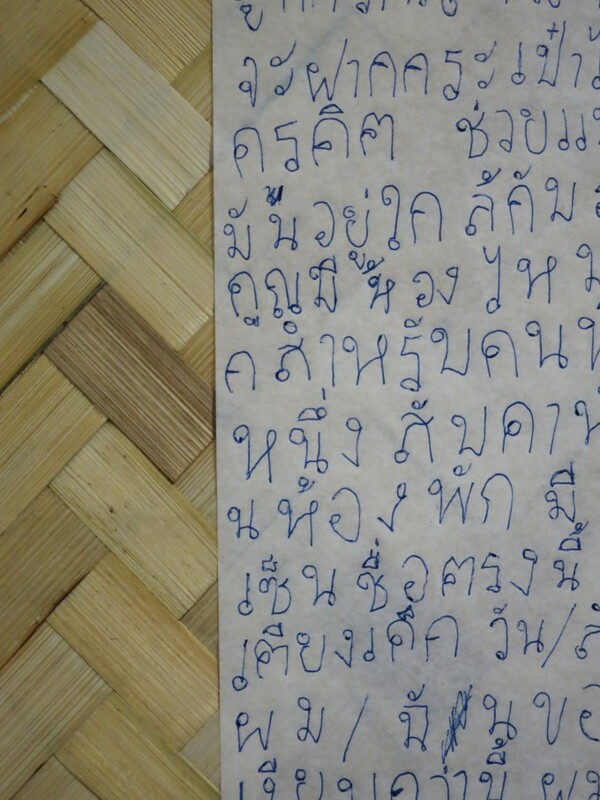 Text mounted on woven bamboo sheets and exhibited at H Gallery Chiang Mai. 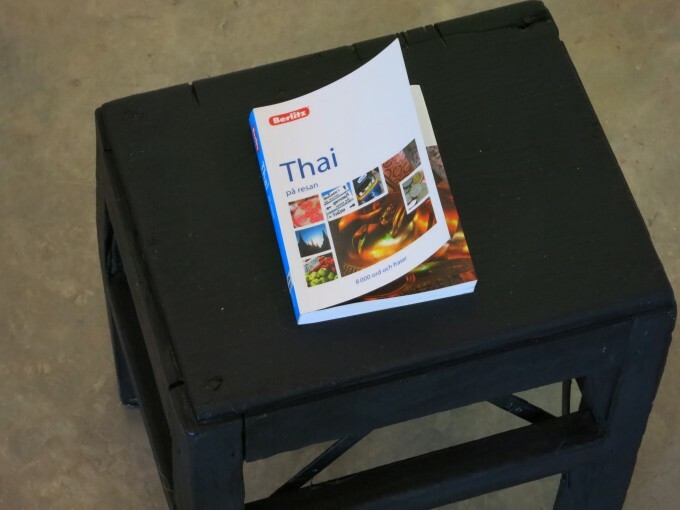 Produced as part of 3RD SPACE, a five week residency at Prem Tinsulanonda International School, Chiang Mai, Thailand. A collaboration between Surface Arts, Sangdee Gallery, H Gallery and Traidhos Three-Generation Community for Learning. 3RD SPACE: Surface Arts in Partnership with Traidhos Three Generation for Learning and H Gallery. This project was a collective relationship building experience with mutual influence. 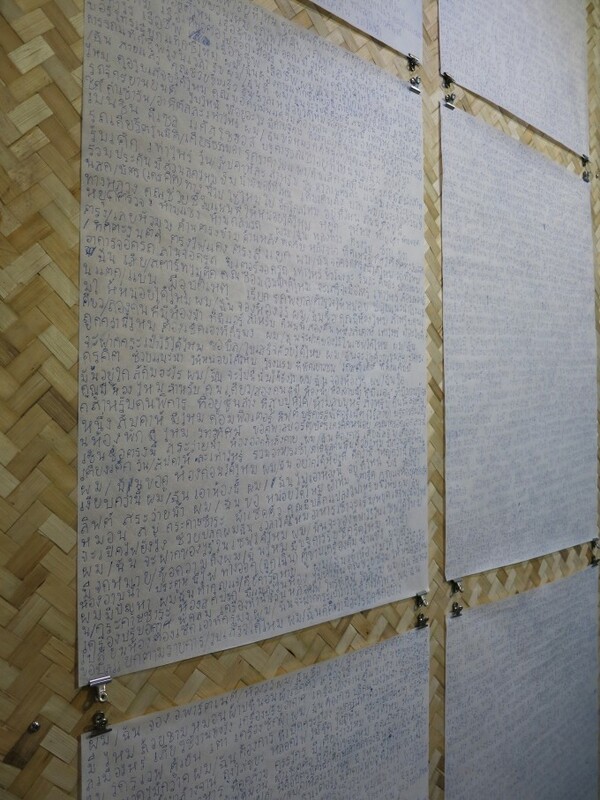 3RD SPACE is an international exhibition resulting from an artist in residency program at Traidhos PTIS School. The artists hail from Sweden, Germany, Peru, Thailand and the UK. 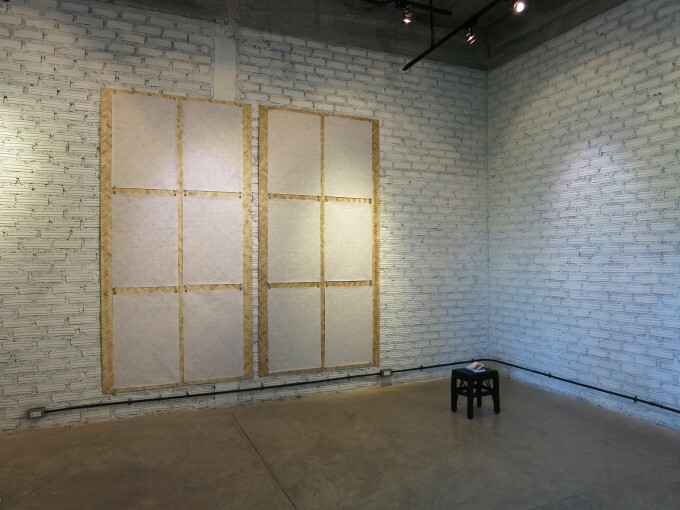 The artists were involved in a variety of socially-engaged activities throughout their time in Chiang Mai. The title of the exhibition, 3RD SPACE, reflects ideas of change and redefinition, as the artists are three times removed: from home to foreign country to new working environment to the neutral space of H Gallery. The works on show explore dualities and paradoxes within the frenetic pace of cultural exchange that characterizes our contemporary world. The challenges and delights of geographical displacement, local knowledge, international vistas, and territorial extension is their material. As a residency and an exhibition, 3RD SPACE energizes traditional methods of collaboration and transforms the gallery into a multi-directional place. All the artists hold established portfolios of working as part of networked projects, and 3RD SPACE offers further insights into how contemporary art practices can map diverse trends and changes.